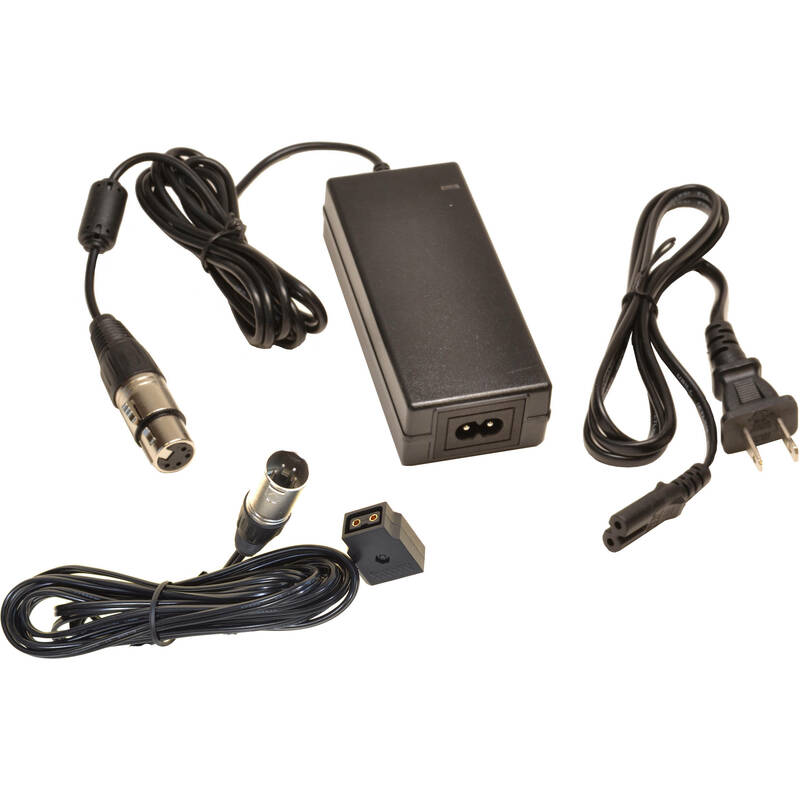 Power your D-Tap-powered camera via AC power with this PSA124DT AC Power Kit from Bescor. The kit consists of a 12 VAC, 5A power adapter with a 4-pin female plug, an XLR male to D-Tap female power cable, and a power cord to plug in the AC adapter. The Bescor PSA-124 is a lightweight 12V power supply. Designed to output regulated power from 110 or 220 VAC mains. It includes a standard US AC cord. The 3' cord terminates with a 4-pin female XLR connector for a direct equipment connection. This power supply will operate using 120 VAC or 220 VAC 50 or 60 Hz; therefore adapting to most worldwide power standards. A 3' cable with 4-pin XLR connector allows direct connection to the user's equipment. Power your lights with this 4-Pin XLR Male to D-Tap Female Power Cable from Bescor. This 10'-long cable features a 4-pin male XLR connector on one end and a D-Tap female connector on the other end to supply power to your gear with a compatible battery or power adapter. Box Dimensions (LxWxH) 6.6 x 3.7 x 1.95"
Box Dimensions (LxWxH) 6.5 x 3.75 x 2.0"